Planning a wedding, renewal of vows or naming ceremony in Canberra? We make the whole process easy, personal and enjoyable. We look after all of the legal stuff, help you design your ceremony and ensure everything runs smoothly on the day. You have other important things like the dress, photography, venues etc to worry about, so our role is to use our experience to guide you through the whole marriage ceremony process. You can reaffirm your love for each other by renewing your wedding vows or after sharing all those experiences together, make some new ones! A great way to officially welcome your newest arrival into your circle of family and friends. You can also announce the god parents/guardians/mentors of the child. For those who have had a ceremonial wedding and now wish to be legally married. The principal Canberra Celebrant is Steven Murray, and his job is to take the stress out of planning your wedding ceremony. Steven has over 19 years experience in the Canberra wedding industry and is officially a wedding junkie! 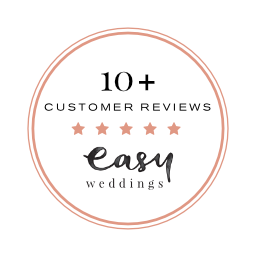 He knows all about the best ceremony locations, timing of the ceremony, photography options and just about everything that will help make the day flow as easily as possible. Basically, a one stop shop for your wedding planning! 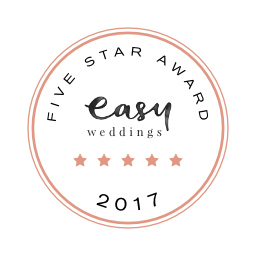 He will give you a fun, relaxed and awesome wedding ceremony and guarantees that no-one will fall asleep! The thought of planning a wedding ceremony can be daunting and overwhelming. Our role is to use our experience to guide you through the whole wedding ceremony process. Call us and we can show you how we can assist in making your wedding day stress free. Thinking of eloping or just after a no fuss ‘I just want to get married fast’ option? Would you like the celebrant and photographer for one low cost? We can provide an intimate, affordable and no stress free option for your wedding – a pop up wedding! See the FAQ page for more info or call us for a quote. We offer a full range of ceremonies and each ceremony will include printed certificates and a copy of the ceremony. A great way to officially welcome your newest arrival into your circle of family and friends. You can also announce the god parents/guardians/mentors of the child. Can be used for baby naming, 1st birthdays or even adult naming or renaming. Great option for couples who marry overseas but want to celebrate their commitment and love for each other with their Australian family and friends who may not have been able to attend the actual wedding. As the name says! Personal but without the trimmings (great for around 12 to 30 ish guests). This one has it all! It is very personal, can include anything you like and is totally awesome. Click here to discover some information about the legal side of things, timing, who does what and when, processes etc. Steven was absolutely amazing and was worth every moment. His value goes beyond anything else. He gave us so much to work with and was willing to meet with us as much as we needed to get it all perfect. Everyone was laughing and crying during the ceremony and he told our story perfectly! We were beyond happy with the ceremony and Steven set the mood for the rest of the day. Steven was the consummate professional and ensured that our ceremony was a true reflection of us with a minimum of fuss. Managed the legalities and paperwork so much so that was never a concern. He was very entertaining without stealing the show (so to speak). I do not hesitate to recommend him. We chose Steven as our celebrant and are very happy we did. Steven was relaxed, knowledgeable, easy to communicate with and very professional. He tailored the ceremony to capture us uniquely as a couple, highly recommend. Steven was great and was very organised had everything covered. He was very personable and easy to deal with. The ceremony was really great and all our guests commented on how relaxed and easy the ceremony was. Steven was the perfect celebrant for our wedding. Having been a wedding photographer and celebrant for a long time in Canberra, he had excellent ideas about how to incorporate our personal touches into the ceremony. His friendly nature made organising the wedding ceremony so easy. It was a perfect day.